There has been a Summit Relocation to a hill that is listed in The Fours initiated by LIDAR analysis conducted by Myrddyn Phillips. The Fours is the title for the list of 400m hills of England and is co-authored by Myrddyn Phillips and Aled Williams with the 2nd edition of the booklet containing this list published by Mapping Mountains Publications on the 24th April 2018. 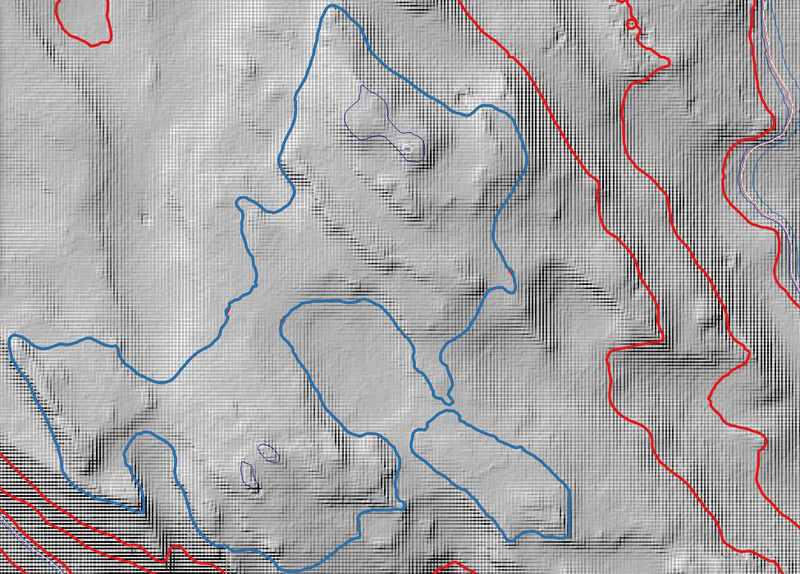 English hills at and above 400m and below 500m in height that have 30m minimum drop, accompanying the main list of The Fours are three categories of sub hills, with this hill being classified in the 390m Sub-Fours. The criteria for 390m Sub-Four status are all English hills at and above 390m and below 400m in height that have 30m minimum drop. The name of the hill is High Hill and it is situated in Region 35; The Northern and Central Pennines, Section 35B; The Central Pennines, and is positioned with the B 6480 road to its west which joins the A 65 road to its south south-west, and has the small town of Settle to its west. As the upper section of the hill is a part of designated open access land an ascent is feasible from most directions, with a public footpath heading west to east and placed to the north of the summit and relatively easy access from a minor road to the south. The summit area of this hill has a 390m uppermost contour that is given a 398m spot height positioned at SD 83244 63492 on contemporary Ordnance Survey maps, and this is where the summit of the hill was listed in the 1st edition of The Fours when published by Europeaklist in December 2013. The highest land in the 390m ring contour was analysed via LIDAR by Myrddyn Phillips. The LIDAR (Light Detection & Ranging) technique is highly accurate height data that is now freely available for much of England and Wales. The summit height produced by LIDAR analysis is 398.3m and is positioned at SD 83338 63674, this position is not given a spot height on contemporary Ordnance Survey maps, although it and that of the previously listed summit both possess an uppermost 395m ring contour on OS Maps. 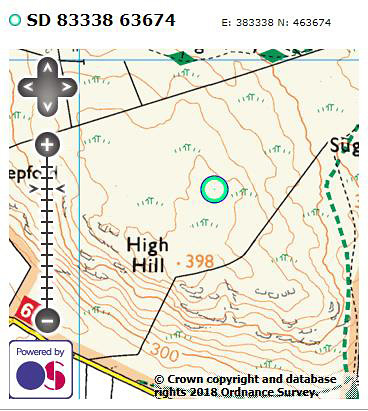 Therefore, the confirmation of the relocated summit position is at SD 83338 63674 and this is approximately 200 metres north north-east from where the previous listed 398m map heighted summit was given in the 1st edition of The Fours.